Last week, I was secret squirrel sewing. I knew the Shropshire boys birthday was coming up, and I wanted to make him something. It was his turn for some home made goodness. He has had a kindle for almost a year now, and it really needed a cover to protect it. I was determined to make that cover. So last week, in the one sitting, in between toddler demands for food and cuddles, I finally made the Shropshire boy a cover for his kindle. I was so chuffed at how great it turned out, I was buzzing. I was on a sewing high. But I could not tell anyone or show any photos on Instagram, Facebook, Flickr, Twitter or this blog. It had to remain a secret for almost a week. That was really hard. I did show the kids, I had to show some one. Abbey, at 6 years old, was gorgeous and told me it was good and that daddy would love it. Gosh I love her. 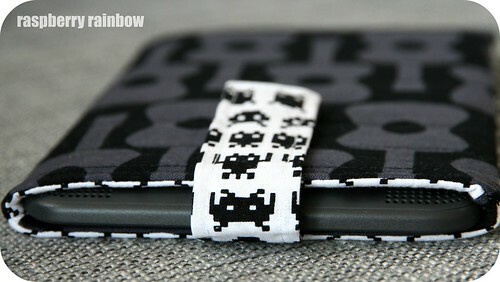 Cam from CurlyPops has a fabulous tutorial How to make a Pouch for an Electronic Gadget that I used. I have had this tutorial printed out for a long time, waiting for just the right moment. I can make fabric zippered pouches with my eyes closed, but I have never made anything like this before. Cam's tutorial is very easy to follow. Since making the kindle cover, I have made some wet-bags with the same method (minus the quilting and the padding, and I added a velcro closure) I will definitely be making more of these for our other electronic gadgets. Thanks Cam for a great tute! Have a great Creative Space day. Or a Space Invader day. It looks awesome! Love the fabrics. Well done. Well done, Cat! Awesome fabric choice. 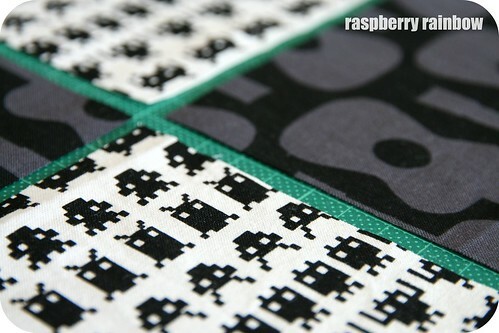 I love that space invaders fabric. so cool. That looks really great - well done. Very neat finish on it. 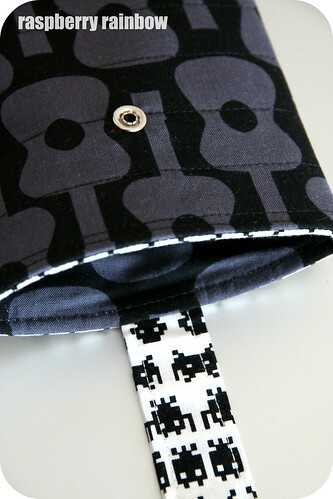 Great cover, love the fabrics you chose ........what a great gift. I'm sure the Shropshire boy would have been thrilled with it. It's absolutely briliant Cat! 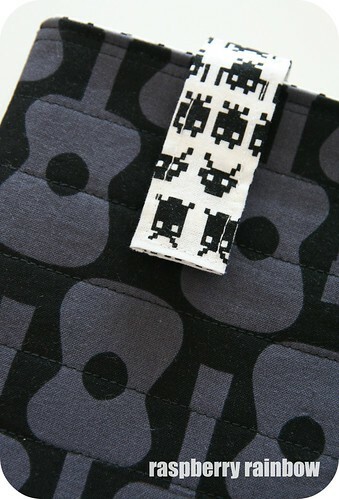 So hard to make anything blokey but those fabrics are spot on perfect (totally love space invaders myself)! Gorgeous! Or, sorry, very manly! 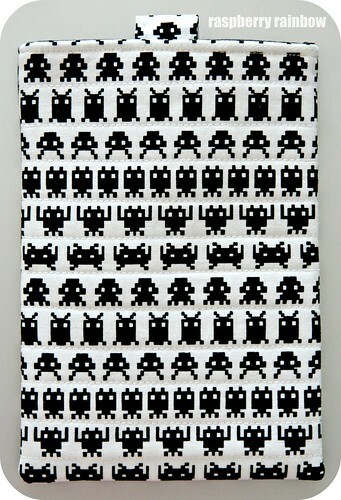 Where did you get the space invaders fabric?? I NEED some of that! It's so good when all your hard work is appreciated! this is so awesome Cat!! It looks fab. Love the fabrics and great to some one for the boys. i am sure it be very well received.